This ring is fun-loving and friendly—literally! 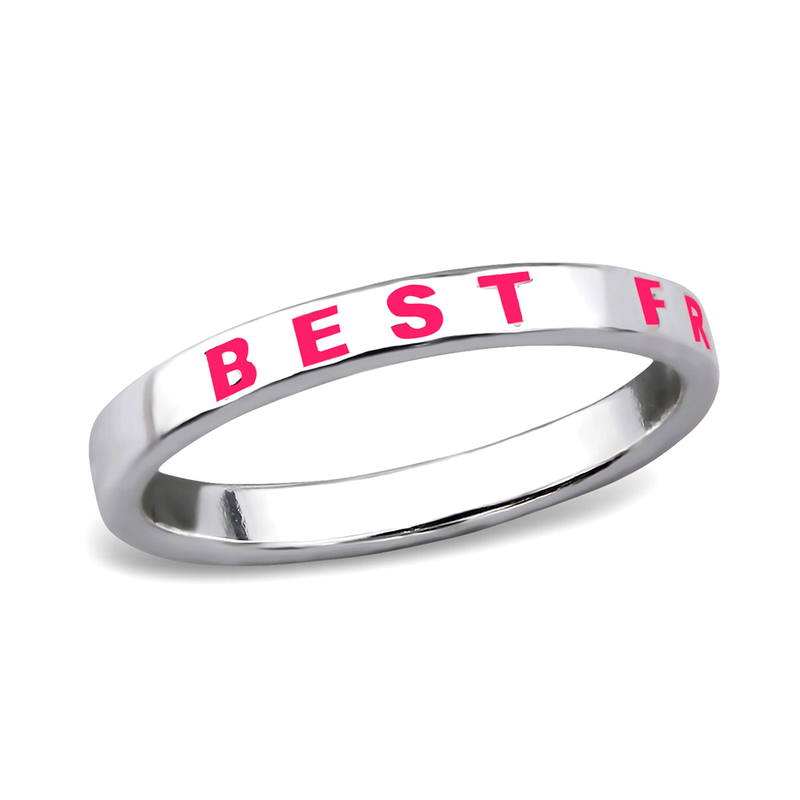 Get one for your best friend and one for yourself so you’re always in synch. 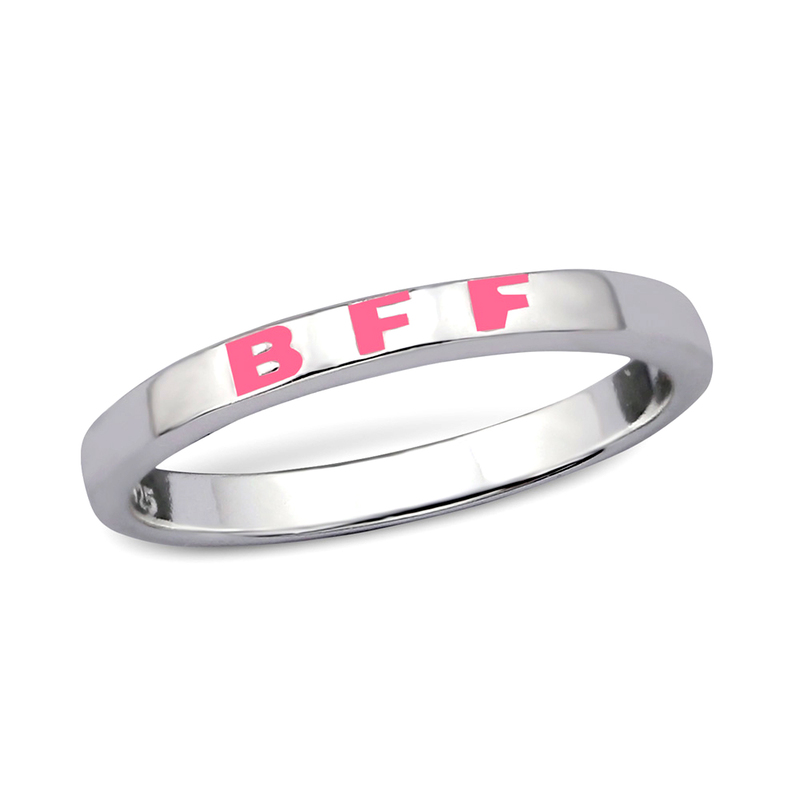 It features a “TRUE FRIENDS” message in bright pink and is built to last in silver plated sterling.